USDA home loan programs are primarily designed to help lower income individuals or households purchase homes in rural areas. USDA Rural Development funds can be used to build, repair, renovate or relocate a home, or to purchase and prepare sites, including providing water and sewage facilities. 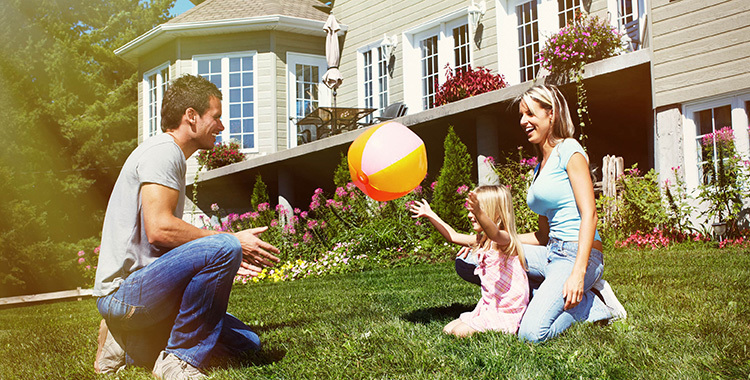 You can finance 100% of the home value with no down payment or monthly insurance required. Eligibility for the USDA Rural development loan program is dependent upon income and property location. Applicants for USDA loans may have an income of up to 115% of the median income for the area. Families must be without adequate housing, but be able to afford the mortgage payments, including taxes and insurance. In addition, USDA applicants must have reasonable credit histories. This mortgage is designed primarily for first-time homebuyers. FHA mortgage loans are very competitive loan programs. FHA mortgages allow the homebuyer to put down as low as a 3.5% down payment AND have less than perfect credit. Seller can contribute up to 6% of the purchase price to the buyer towards closing costs. Other benefits of the FHA mortgage loan program may include lower closing costs, down payment can be gifted to the homebuyer, available on 1-4 unit properties, cash reserves not required, closing costs can be paid by seller, flexible qualifying debt to income ratios and streamline refinance available. FHA Mortgage loans can be fixed-rate or adjustable rate mortgages, but the majority are fixed-rate mortgages. FHA Mortgage loans require a mortgage insurance premium to be collected at closing (upfront MI) and an annual premium is collected in monthly installments. The FHA mortgage insurance premium in not the same as your homeowner’s insurance and is required of all borrowers with less the 20% LTV. A typical monthly mortgage payment on a FHA mortgage loan includes principal and interest, taxes, monthly insurance premium (MIP), homeowners insurance (assuming you have elected to make monthly payments on your taxes and homeowners insurance). *UPDATE*: Click here to learn about the FHA guideline changes in regards to permanent mortgage insurance premiums effective June 2013. This is a 30 year fixed rate mortgage program that allows the owner to borrow up to $35,000 for repairs on a house that was recently purchased or being refinanced. This loan amount can go toward repairing/replacing gutters, roof, downspouts, furnace and central air units, and flooring. You can also do lead based paint abatement, mold remediation, door and window replacement, and well and septic system replacement. This loan will NOT cover major structural repairs, additions such as garages, sheds, work shops, etc, or landscaping. For more information about this program, visit the Inlanta Mortgage corporate site. A VA mortgage loan is a federally guaranteed mortgage loan for veterans that does not require a down payment or private mortgage insurance. This is an excellent benefit for eligible veterans. Private mortgage insurance is usually required if a down payment of 20% is not provided – with the VA mortgage loan both the down payment and private mortgage insurance requirements are waived for veterans. Veterans who served on active duty and have a discharge other than dishonorable after a minimum of 90 days of service during wartime or a minimum of 181 continuous days during peacetime are eligible to apply for the VA Mortgage Loan. There is a two-year requirement if the veteran enlisted and began service after September 7,1980 or was an officer and began service after October 16, 1981. There is a six-year requirement for National guards and reservists with certain criteria and there are specific rules concerning the eligibility of surviving spouses. All veterans must qualify for the VA mortgage loan – they are not automatically eligible for the program. The guaranty means the lender is protected against loss if you or a later owner fails to repay the VA mortgage loan.